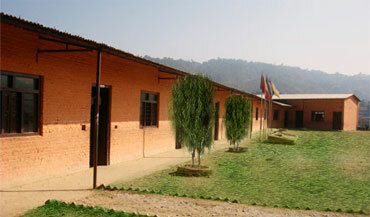 Buddha Academy was established by a group of activists in Nepal with the main motive to provide quality education through modern teaching approaches for children. It is very well supported by the local community and of course the teachers who are well qualified and committed to providing a good education. At present school runs from Nursery to the Secondary levels (i.e. Grade 10) and there is a plan to extend the classes to the Higher Secondary Level in the near future. The successful farewell of the 7th annual group with 100 percent pass results at the School Leaving Certificate examination proves the quality of the education and the dedication of students to their studies. In the beautiful town of Bhakundebesi, that is situated 51 kilometres from the capital of Nepal, Kathmandu, 21 kilometres from the headquarter of Kavre District, Dhulikhel. a) There is an urgent need for a volunteer for the post of Director of School. The contract would be for a minimum period of one year; a small salary would be provided with living accommodation. The position could suit a well established teacher with considerable managerial experience who is seeking a sabbatical year or perhaps one who is on the verge of retirement. b)Volunteers are always welcomed for short periods of a few weeks. Again a small salary will be provided and accommodation for the period. These opportunities would suit a young teacher who may wish to combine a holiday in Nepal with providing some help and gaining experience of teaching in a developing country. Ashraya Nepal has agreed to provide accommodation in Kathmandu for volunteers while visiting the valley if they wish to use. Registered in Nepal as a charity. Registration Number 693/065 Kathmandu.